Thomas Pitt (1870-1937) Mayor of Duncan and Past Master of Temple Lodge, No.33 – Temple Lodge, No.33, Duncan, B.C. R.W. Bro. 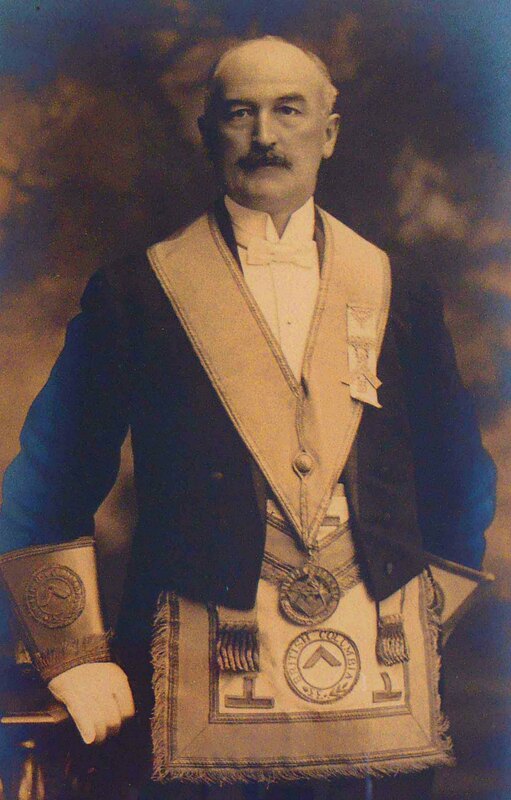 Thomas Pitt (1870-1937) was Initiated and Passed in Temple Lodge No. 33 in 1900 and Raised to a Master Mason in 1901. He served as Lodge Secretary in 1902-03, Treasurer in 1904, Junior Warden in 1905, Senior Warden in 1907 and Worshipful Master of the Lodge in 1908 and 1909. 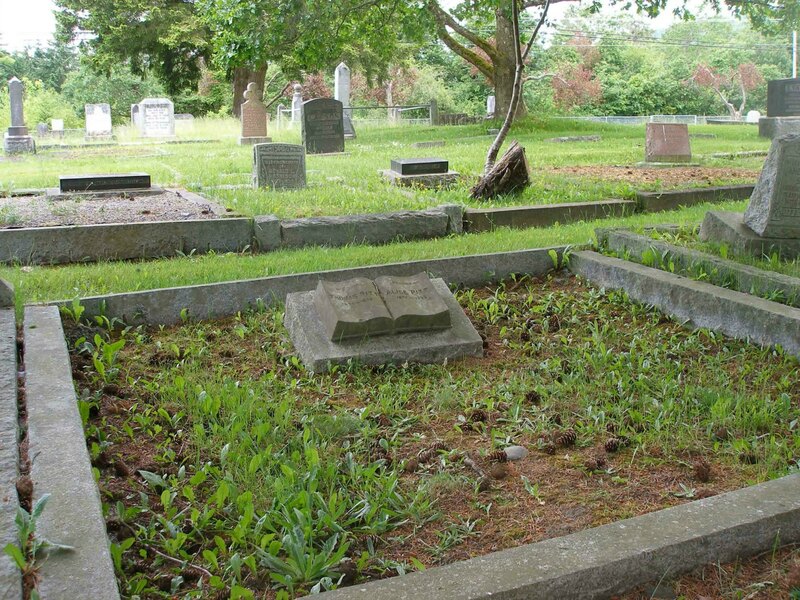 He was an Alderman of the City of Duncan in 1914 and 1922-1924. He served as Mayor of Duncan from 1919-1921. He was also prominent in local business. In 1902, he formed a partnership with fellow Temple Lodge, No.33 member Andrew Hans Peterson under the name Pitt & Peterson, which purchased the Duncan Emporium business of W.B. Harry Smith. With W.Bro. Andrew H. Peterson, he was one of the founders of Cowichan Merchants Ltd. in 1909. He sold his interest in Cowichand Merchants Ltd. to Andrew H. Peterson in 1919. He later ran a garage under the name of Thomas Pitt Ltd. before retiring in 1932. The building he built in 1929 for his automotive business is still standing at 231 Government St. in downtown Duncan, B.C. This building was designed by local architect Douglas James. “..The application of Mr. Thos. Pitt was then read with a favourable report of committee upon the same. Brother Evans moved, and Bro. Truesdale seconded the motion to receive the application of Mr. Thos. Pitt and discharge the committee. The motion carried….. Here are the local newspaper reports of the formation of Cowichan Merchants Ltd., a partnership between Thomas Pitt, Andrew H. Peterson and William Penn Jaynes. 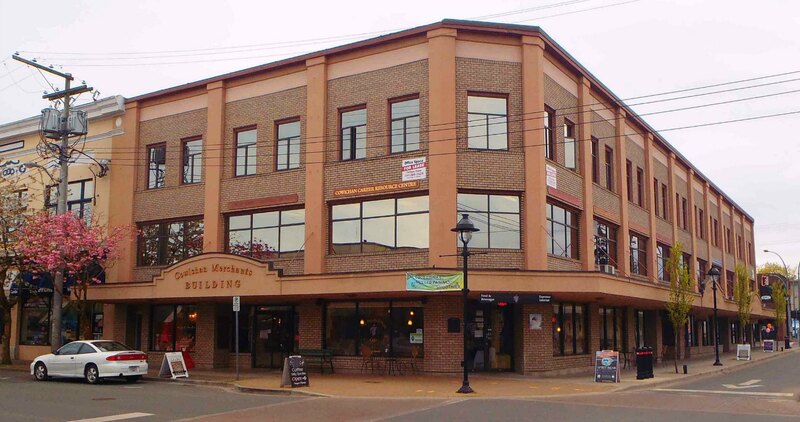 This morning at 9:30 when the doors of the new home of Cowichan Merchants, Ltd. are thrown open to the public, one of the finest buildings of its kind west of Winnipeg will be in use as a general store. 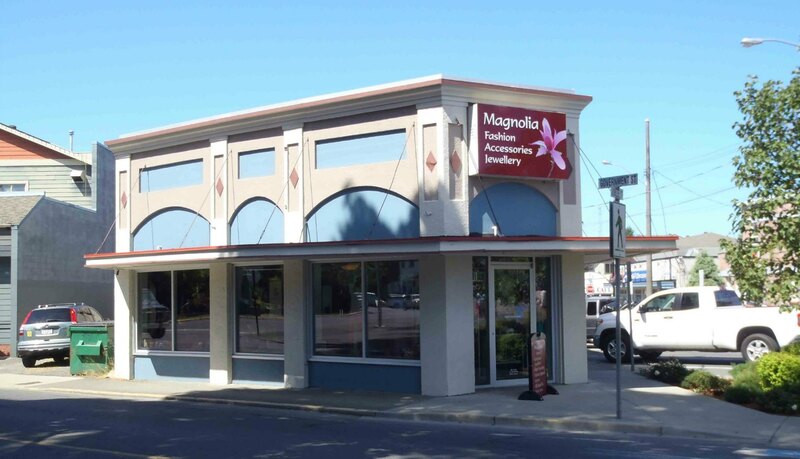 The actual commencement of the mercantile business in Cowichan district dates back to 1879, when Mr. W.H. Jaynes first opened a business house here. On July 1st, 1899 the house which was destined to become the strongest mercantile firm in the district was founded by Mr. Harry Smith, who carried on business in the I.O.O.F. block until 1901, when he removed to the corner of Station and Craig Streets now being vacated by the Cowichan Merchants Ltd. In February 1902, Mr. A. Peterson, who had been with Mr. Smith from the inception of the ‘Duncan Emporium’ formed a partnership with Mr. Thomas Pitt, purchased the business from its originator and by foresight and good management this firm has built up what is conceded to be the most extensive general merchandise business on Vancouver Island. Mr. T. Pitt has severed his connection with the Cowichan Merchants Ltd., having disposed of his interests to Mr. A.H. Peterson. Thus the associations of some seventeen years are broken. Mr. Pitt started business in partnership with Mr. Peterson, trading under both names in the building at the corner of Craig and Station Streets, Duncan. Its boards still show the old sign under certain weather conditions. Subsequently the firm of Pitt and Peterson amalgamated with Mr. W.P. Jaynes and thus the Cowichan Merchants Ltd was brought into being. He was a prominent Mason, joining Temple Lodge, A.F. & A.M. in 1902 [note: he actually joined Temple Lodge, No.33 in 1900. He was Raised to a Master Mason in 1902] , and holding the office of secretary in 1903 and 1904, and of master in 1908 and 1909. In 1918 he was district deputy grand master. He also belonged to Tsouhalem Chapter, Royal Arch Masons. 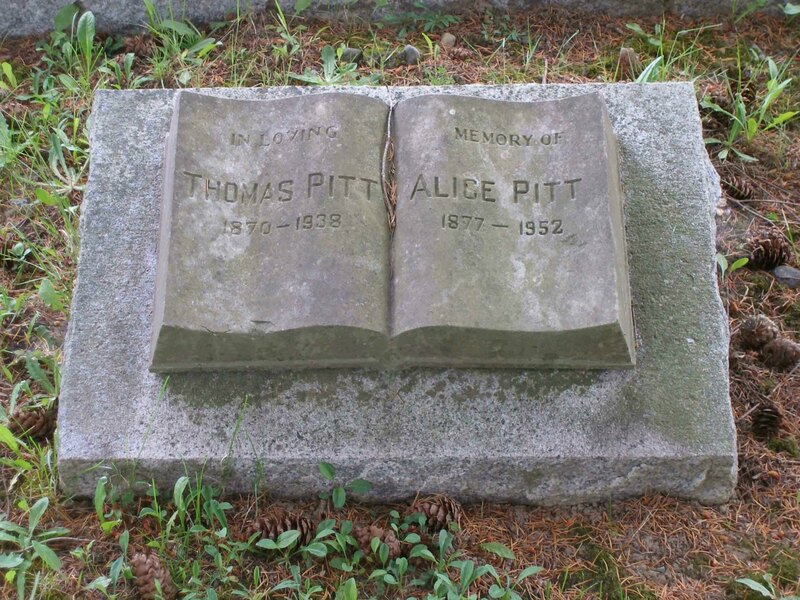 Thomas Pitt is buried in Mountain View Cemetery on Somenos Road, North Cowichan, B.C.